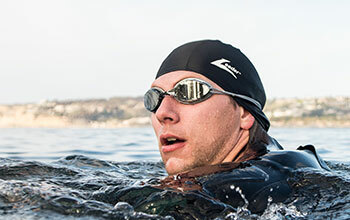 Leaderswim.com accepts Visa, MasterCard, American Express and Discover credit and debit cards, as well as, Paypal payments. We use Secure Sockets Layer (SSL) technology, to protect the security of your credit card information as it is transmitted to us. 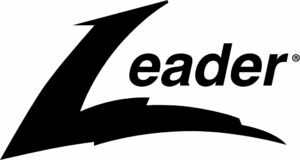 Leader® is required by law to collect all applicable sale and use tax on shipments to states where Leader® and its affiliates maintain a place of business or business relationship. You will see these taxes added to your order total. Leader offers USPS and expedited UPS shipping options on all orders. At this time leaderswim.com only offers online ordering through our Canadian and US websites. We hope to expand our global ecommerce footprint in the future. For now, all international order inquiries should be sent to [email protected] so we can help steer you to the correct retail location in your region. Alternatively, please check out our Dealer Locator. Purchase made from leaderswim.com can be exchanged within 30-days from the original date of purchase. To set up a Leaderswim.com exchange, please contact Customer Service via email [email protected] or phone 800.955.6544, Monday through Friday, 8am to 5pm EST. Understanding the inherent risks associated with enjoying the water (whether in the pool or the ocean) is our shared responsibility. 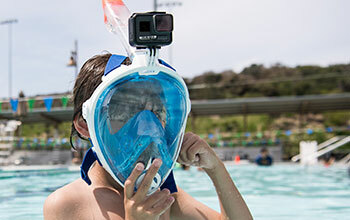 We proudly design products to enhance the aquatic experiences of our customers, whether during their early days learning to swim in the pool or when venturing into the surf for a day of underwater discovery. Ensuring proper fitting equipment and a firm understanding of one's environment and experience is the key to making your next dip in the pool or ocean as safe and fun as possible. 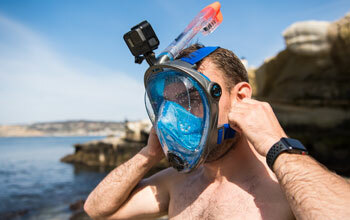 Snorkel gear is recommended primarily for surface exploration. 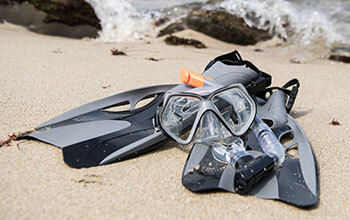 Deep diving with snorkel equipment should only be attempted by experienced, trained snorkelers. Like all water sports, snorkeling can be hazardous if not done with care. Never snorkel along. 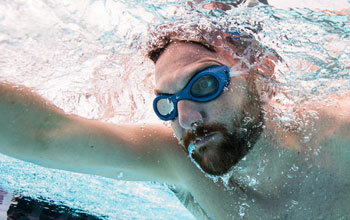 Beginner snorkelers should follow the advice of qualified instructors. Technical training prior to snorkeling and diving is recommended. 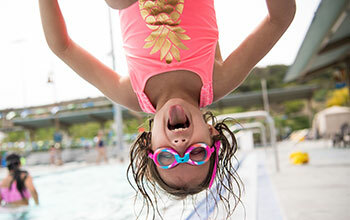 Children should always snorkel under the supervision of an adult. Water Confidence Program: Help promote a lifelong love for the water when introducing your little ones to the pool or ocean for the first time. Promote water confidence with the right training aids and competent adult supervision. In order to ensure each day in the water is as enjoyable as the last, we recommend rinsing your gear with fresh, clean water after each excursion; use a towel to dry before leaving your gear in a dry, well-ventilated area so it can dry properly between uses. This will also prevent the potential for unwanted bacteria buildup during storage. Always clean your eyeguards with the provided lens cloth so as to avoid the potential for lens scratching. When needed, a simple lens cleaning solution can be used to remove sweat residue or smudging from fingerprints. We recommend this one: (insert See Green link). Care is taken to assure that each Leader® product is produced with the finest materials and workmanship. For a period of one year from original date of purchase, a product determined to be defective under normal and proper use will be repaired or replaced without charge. Proof of purchase is required. The Manufacturer's Warranty does not include shipping costs. Any claim must be made within 1 year of the original purchase date. The Limited Manufacturer's Warranty does not affect any statutory rights. This warranty is in lieu of all other express warranties and of all other liabilities and obligations on the part of Leader® except implied warranties, including the merchantability, and limited in duration to 1 year from the original purchase date. Leader® expressly denies the rights of any person to incur or assume for it any other liability or obligation in connection with the sale of these products. WARNING: Where explicitly called out, Leader® Eyeguards meet ASTM F803 Impact Standards; however, these eyeguards do not provide an unbreakable shield against eye injury. As such, prior to beginning your activity, you should carefully evaluate your Leader® Eyeguard model and its associated features and impact standards in accordance with the given activity you intend to embark upon. The limited warranty does not include scratched lenses. Some wear of the lenses should be expected during the product's life. If you believe your Leader® product is defective, please contact our Warranty Department via phone 800-955-6544 or via email [email protected] to set up a claim and send back your product for warranty assessment and replacement. For products covered under warranty that have been discontinued, we will replace with the most equivalent model. Please note: Manufacturing faults do not include issues arising from general use or neglect. A warranty assessment takes into account the product's age and damage from neglect or general use.